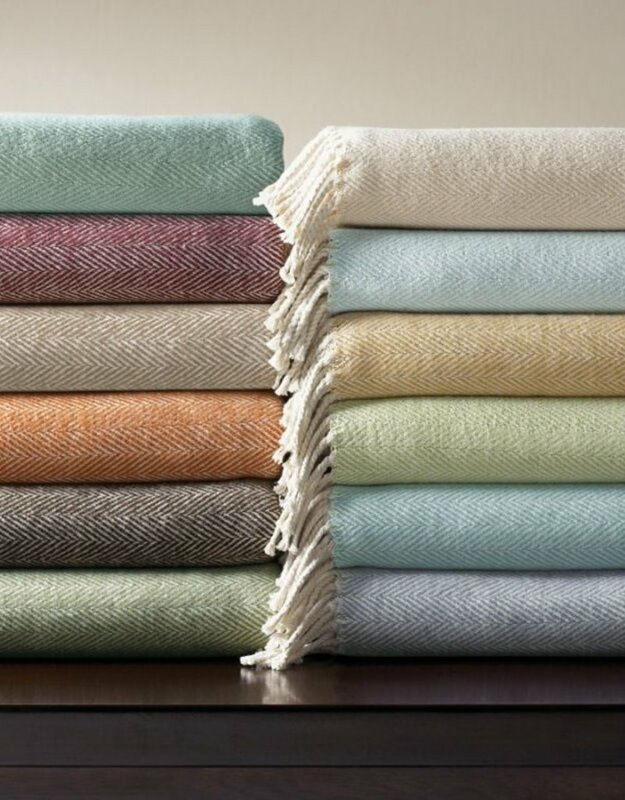 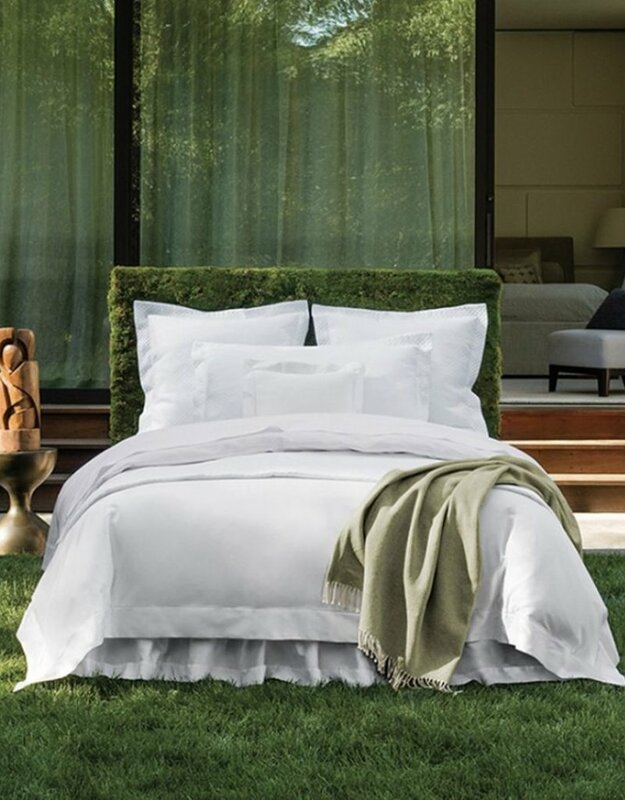 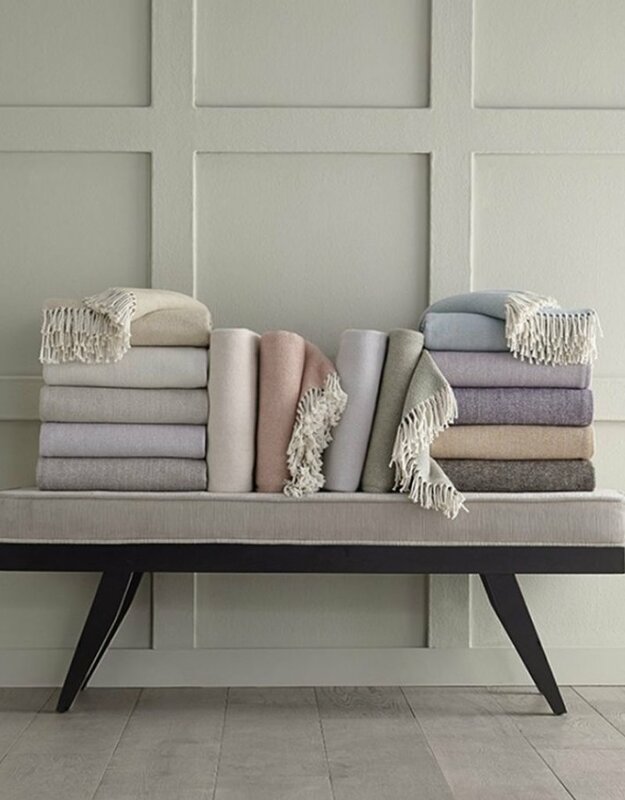 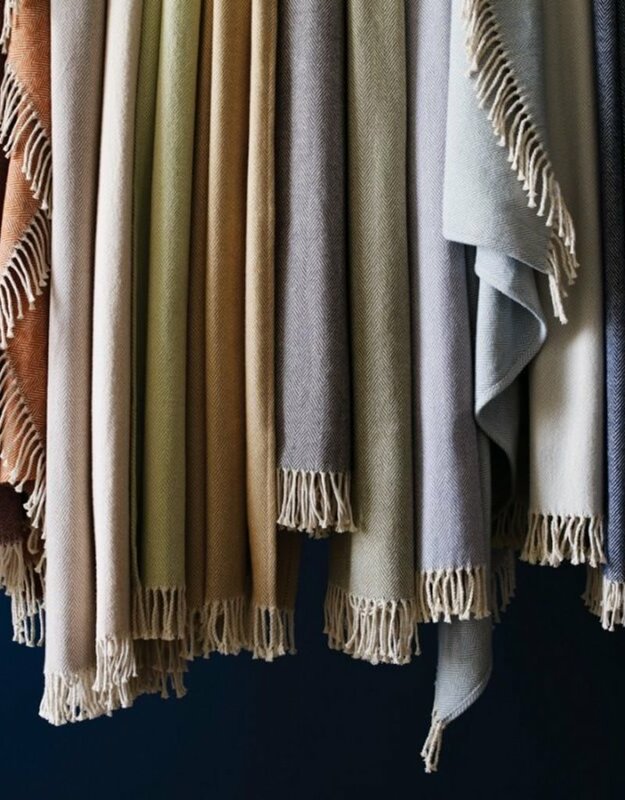 The softest throws in the softest colors Cotton, when brushed, undergoes a transformation that gives it a plush, alluring texture this side of heaven. 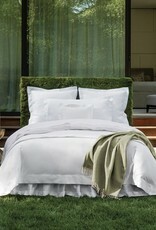 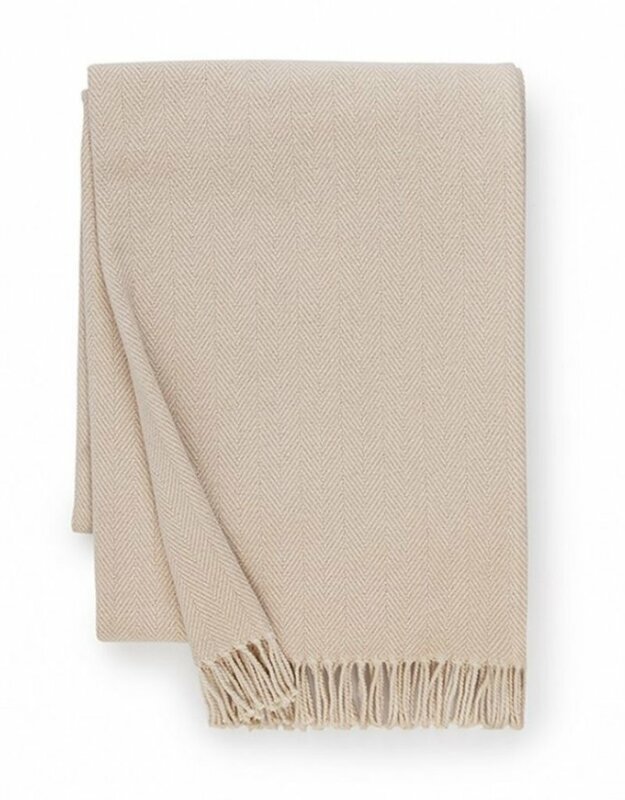 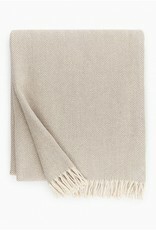 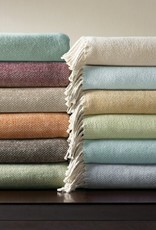 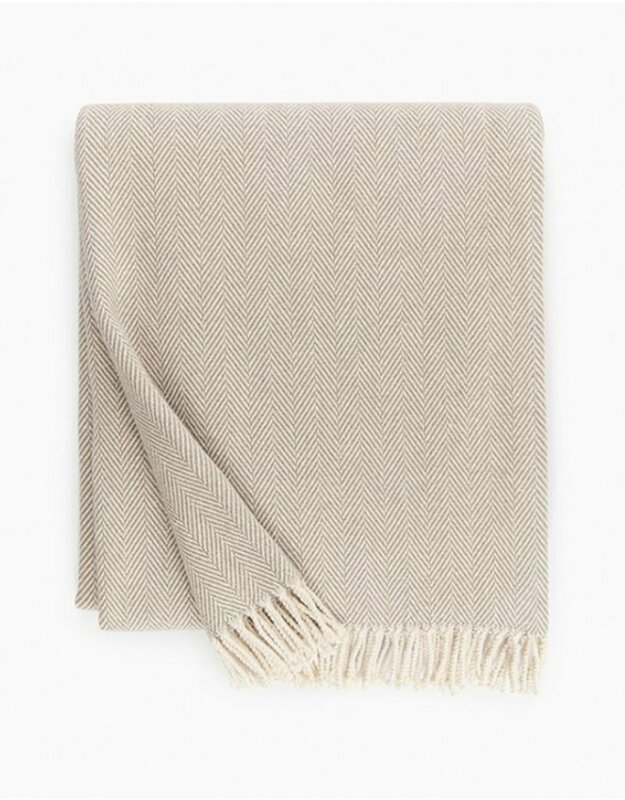 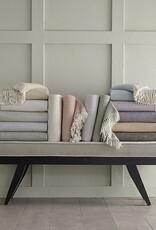 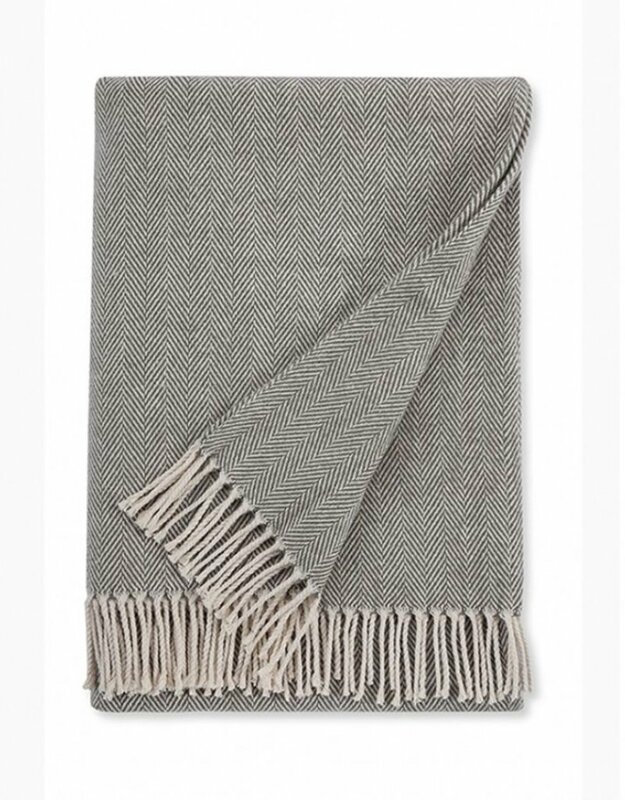 This throw blends soft color with cream in a herringbone weave and finishes it with a twisted, natural fringe. 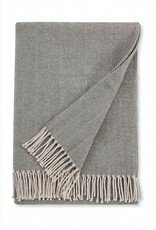 51" by 71" Fabric: 100% Cotton Made in Portugal Care Points: Machine wash cold, gentle cycle, using non-chlorine bleach detergent. 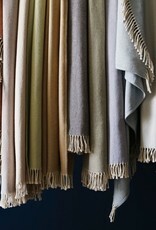 Wash dark colors separately. 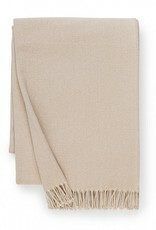 Tumble dry, low heat, remove promptly.